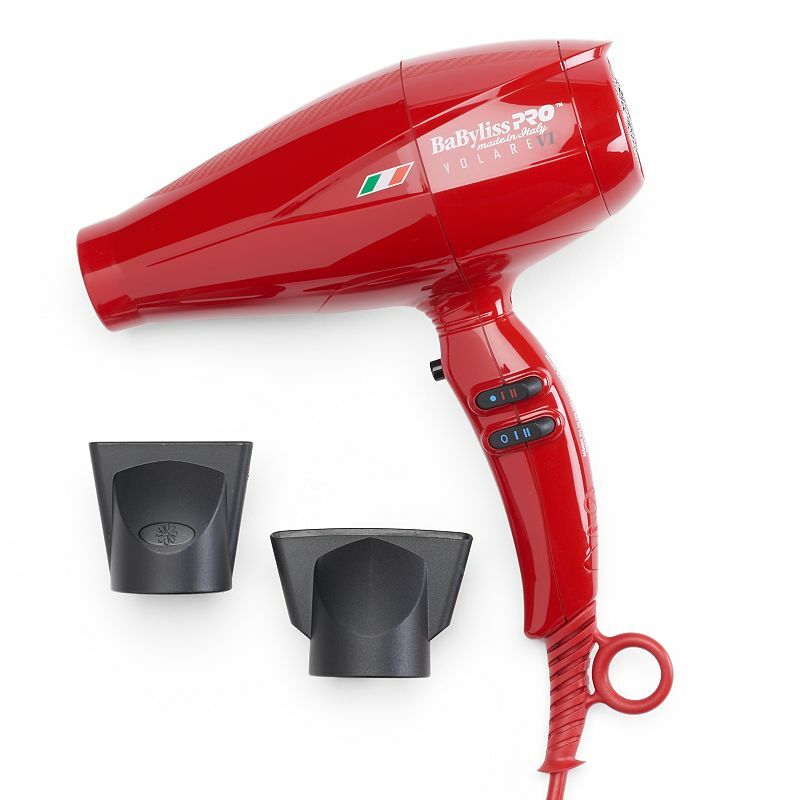 BaBylissPro™ Nano Titanium Volare� V1 Full-Size Dryer Red BABFRV1 FEATURES Ferrari designed V12 engine Made in Italy Nano Titanium™ technology Turbo shot button 2000 watts 2 variably shaped accessory nozzles Tri-port ionic generator True cold air feature 6 heat/speed controls Limited 4-year warranty . 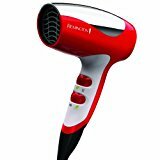 CONAIR BABNT5548 HAIR DRYER 2000WATTS IONIC Product Features ��������� 2000 Watt for faster drying ��������� NANO Titanium with integrated Ion generator ��������� Lightweight �. 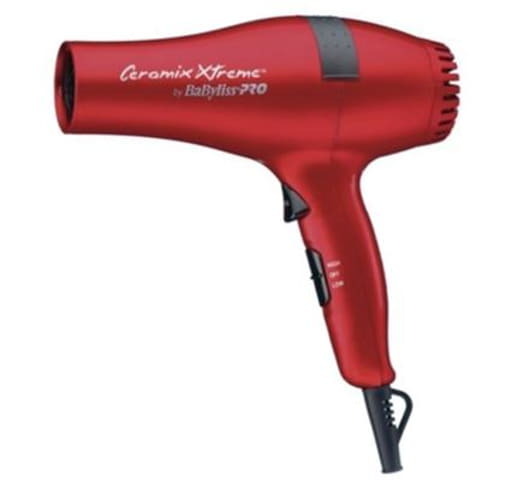 BaByliss Pro Ceramix Xteme Professional Turbo Hair Dryer DESCRIPTION: 2000 Watts Ceramic emits negative ions that reduce static and frizz Generates far-infrared heat, a gentle heat to protect hair With high heat and increased air pressure Commercial grade porcelain ceramic . 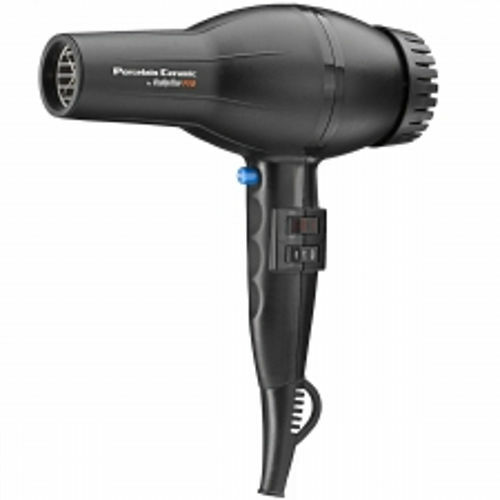 Babyliss PRO Carrera Hair Dryer 1900W Product Description Babyliss PRO Carrera Hair Dryer�is compact and powerful with high heat and increased air pressure in a refined design that's perfectly balanced for optimum styling performance. 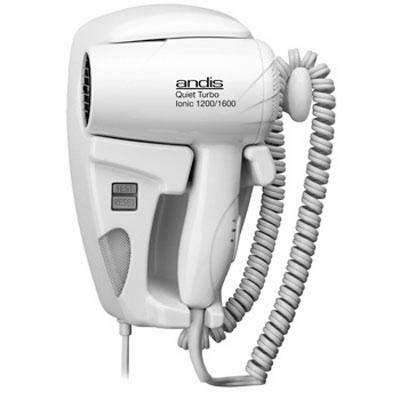 �Ceramic Ionic Technology creates negative ions to dry hair while eliminating static and frizz. 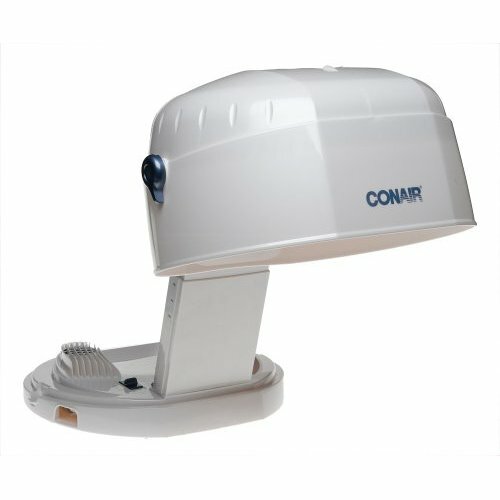 With 1900 watts of power of far infrared heat, a gentle heat to protect�hair and close the hair's cuticle. Babyliss Pro Carrera Hair Dyer quickly dries hair from the inside out, not only reducing drying and styling time, but damage as well. � Features: - Narrow concentrator nozzle included. - Extended life AC motor - 6 Speed/Heat Settings provide 8 speed and heat combinations - Porcelain ceramic grill - Cold shot button - Soft touch rubberized housing - Removable filter - Ceramic Ionic Technology - 10'&nb �. 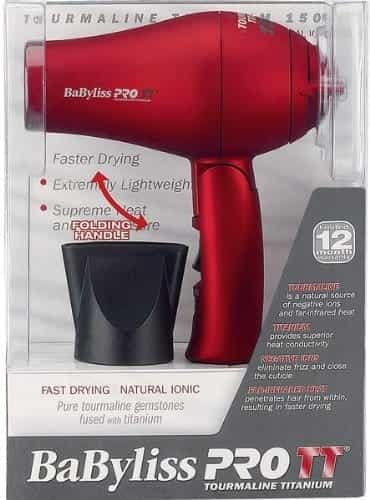 BaBylissPRO TT� Tourmaline Titanium 3000 Dryer - RED BABTT5585 PRODUCT OVERVIEW The first thing you’ll notice about this very contemporary 1900-watt dryer is the rubberized finish. It feels good when you hold it, providing a more comfortable grip and reducing stress on the hand and wrist. The�Tourmaline Titanium technology emits millions of ions for incredible shine, and far-infrared heat for faster drying and styling, which is easier on hair. 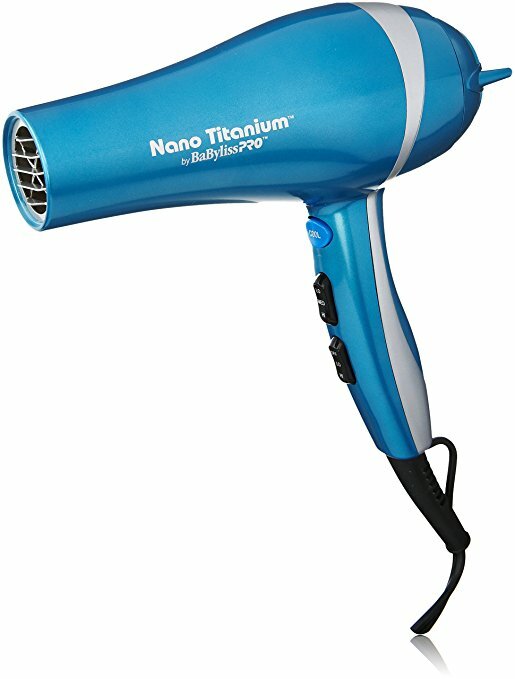 Six heat/speed settings, a cold shot button, and a 9-foot-long cord are other features that make this unique non-slip dryer a favorite of professionals FEATURES AND BENEFITS Tourmaline Titanium technology 1900 watts Ultra-lightweight design 6 heat/speed settings Cold shot Soft-touch rubberized finish Limited 24-month warranty . 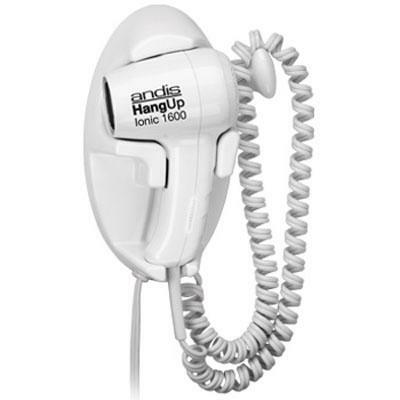 Andis 30975 Quiet hangup 1600 Watt hair dryer with night light is a wall-mounted hang-up hair dryer with LED light. It has a quiet long-life motor and Lifeline shock protection that is built into the unit. It has a 3 position switch with 2 heat and air settings. The metal mounting plate is for secure wall attachment. It features a new hanger loop. An exclusive Andis innovation in cord storage. It has a long-lasting electronic light no more bulbs to burn out or replace. Its soft diffused light provides visibility for safely moving around. It is less expensive to operate than most night lights. It stays cool and is energy efficient. This item cannot be shipped to APO/FPO addresses. Please accept our apologies. 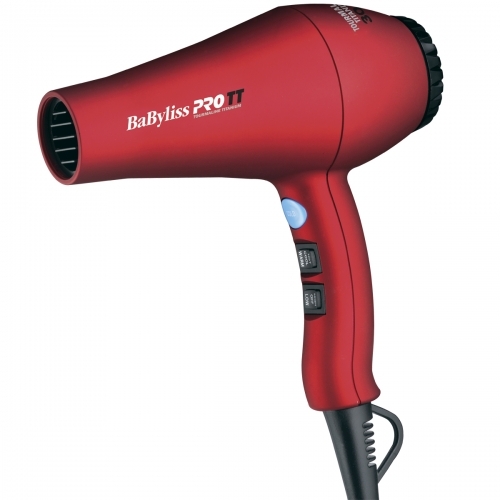 BaBylissPro™ Nano Titanium Volare� V2 Mid-Size Dyer Red BABFRV2 FEATURES Ferrari designed V12 engine Made in Italy Nano Titanium™ technology Turbo shot button 2000 watts 2 variably shaped accesory nozzles Tri-port ionic generator True cold air feature 6 heat/speed controls Limited 4-year warranty . 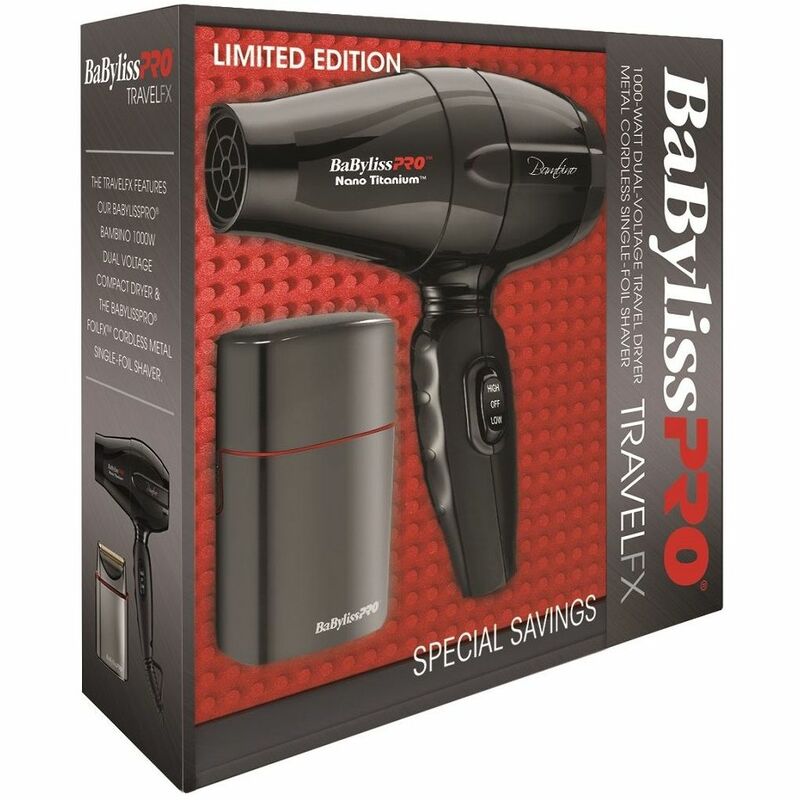 BABP2800 BaByliss�PRO Porcelain Ceramic™ 2800 Dryer � PRODUCT OVERVIEW The combination of Porcelain Ceramic™ technology and ionic technology is one of the biggest breakthroughs in styling. The gentle, even, far-infrared heat that’s emitted lets you dry hair faster and protects it from damage. 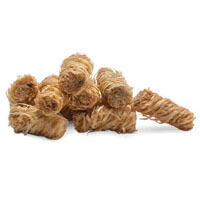 Every time you turn the dryer on, clouds of natural ions surround hair to eliminate static. Results are healthier-looking hair and�shiny, smooth styles. 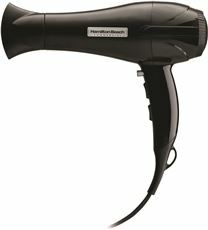 This powerful salon dryer has a 2000-watt motor, 6 heat/speed settings, a cold shot button and a removable rear filter. � FEATURES AND BENEFITS Ionic and Porcelain Ceramic™ technology 2000 watts 6 heat/speed settings Cold shot button Concentrator nozzle Removable filteR Limited 3-year warranty � � �. BC171NCSR - 1000 Watt Hot Air Brush Styling Kit with two brush attachments for styling versatility. Tourmaline Ceramic technology provides even heat distribution eliminates damaging hot sports and reduces flyaways. Choose a 1-1/4" tourmaline ceramic-coated thermal brush or 3/4" natural boar and nylon bristle brush for super smooth silky and shiny hair. Concentrator attachment 2 speed settings (Hi/Low) Cool tip Professional-length swivel power cord. This item cannot be shipped to APO/FPO addresses. Please accept our apologies. 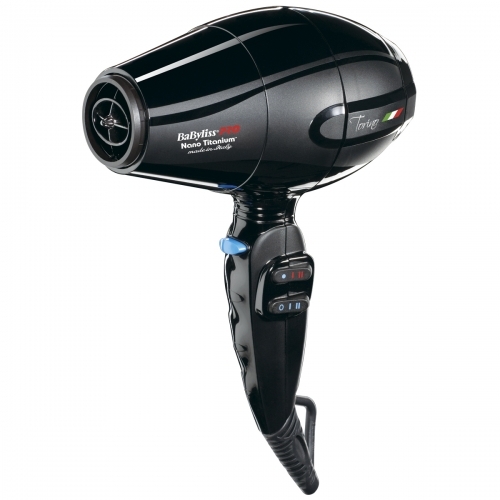 CONAIR ITALO LUMINOSO� 2000 WATT BLOW DRYER� BLACK� PCCA6350BK Made in Italy 2000 Watt AC Motor Ceramic Heat Technology 4 Heat/Speed Settings Cold Shot Switch Includes Concentrator Nozzle Limited 4 Year Warranty . CONAIR� BaByliss Pro Nano Titanium� Torino Hair Dryer BLUE� PCCA6160N BaByliss Pro Nano Titanium Torino Hair Dryer dries your hair with the utmost care Nano Titanium technology distributes heat evenly to protect hair from changes in temperature that can cause it to look dry and damaged Superior air speed and flow completely dries towel-dried hair in 5-6 minutes 2000-watt motor 6 heat/speed settings Includes: 3 concentrator nozzles 1 diffuser Removable stainless steel rear filter Measures 4. �CONAIR BABNT5510 BLK HAIR DRYER BAMBINO BABYLISS PRO NANO Overview Trust Babyliss To Dry Hair With The Greatest Of Care! 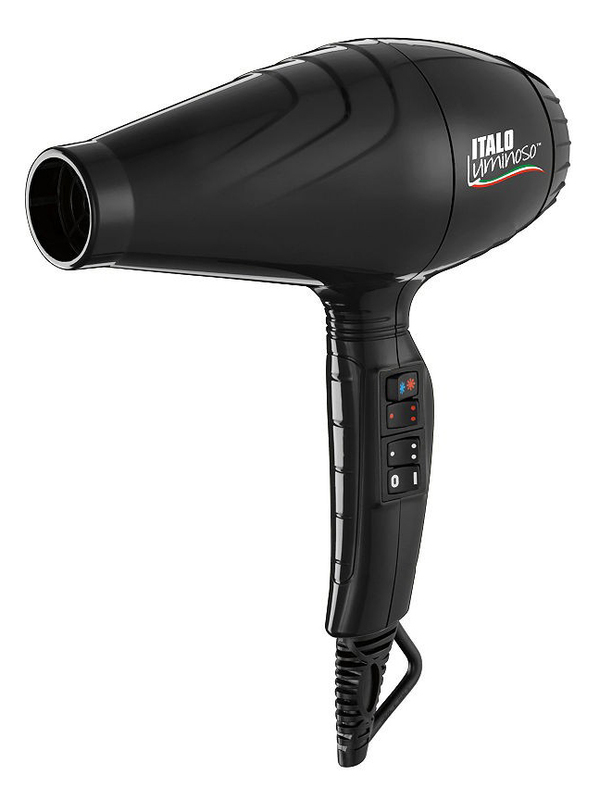 The Compact Torino 6100 Features A 2000-Watt Italian Motor And Nano Titanium&Trade; Technology, Which Distributes Heat Evenly To Protect Hair From The Changes In Temperature That Can Cause It To Look Dry And Damaged. Because Of The Superior Air Speed And Flow, Towel Dried Hair Is Completely Dried In 5&Ndash;6 Minutes! Features And Benefits Nano Titanium&Trade; Technology 2000-Watt Italian Ac Motor Ionic 6 Heat/Speed Settings Removable Stainless-Steel Rear Filter Limited 4-Year Warranty . CONAIR C558 HAIR DRYER 1875W CHAMPION EURO STYLER Champion Euro Styler Hair Dryer C558. 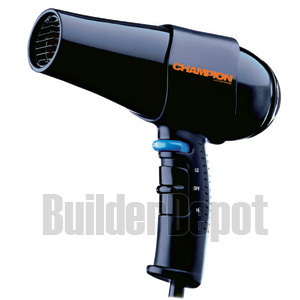 Product Description: Conair is a ultra quiet full size euro dryer with 1900 watts. 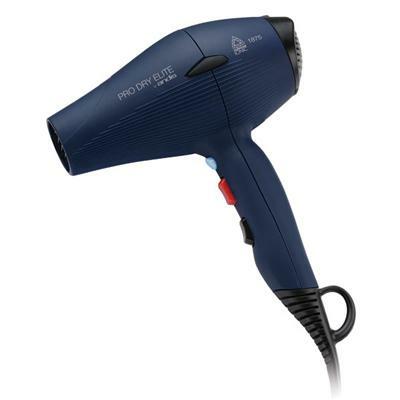 This hair dryer has powerful dual voltage motor for worldwide use. 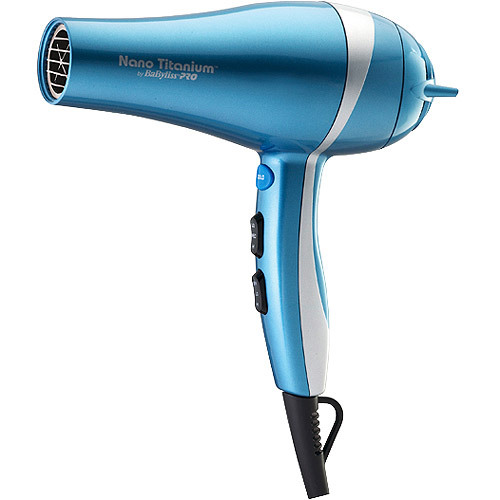 It has turbo power that shortens your drying and styling time. The 6 feet professional cord and comfort grip allow you the versatility to move the dryer where do you want it to be. 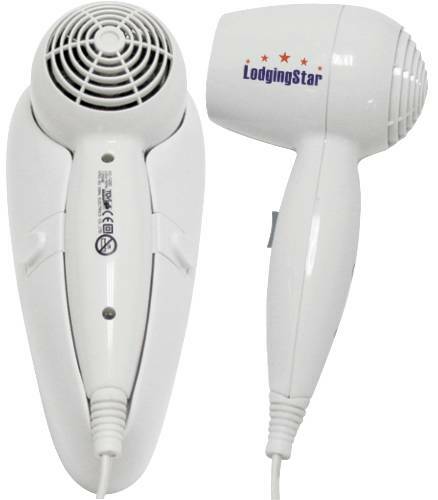 This very affordable hair dryer comes with the necessary features that can give you lovely looking hair. Features: Ceramic Technology Professional long life AC motor 2000 watts Lightweight design Cool shot trigger 2 heat/speed settings Snap-on 8mm concentrator nozzle Removable rear filter. 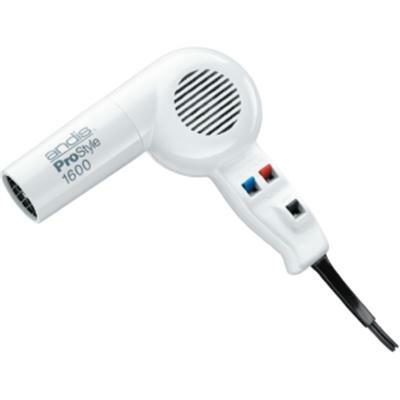 Wall Mounted Hair Dryer in White with 1600 watts of drying power; Ionic technology dries hair faster by breaking up water molecules; Two heat and air settings; Soft diffused night light provides visibility for safely moving around; Long-lasting electronic light - no bulbs to burn out or replace; Less expensive to operate than most night lights - stays cool and is energy efficient; ADA compliant when mounted below 48". This item cannot be shipped to APO/FPO addresses. Please accept our apologies. 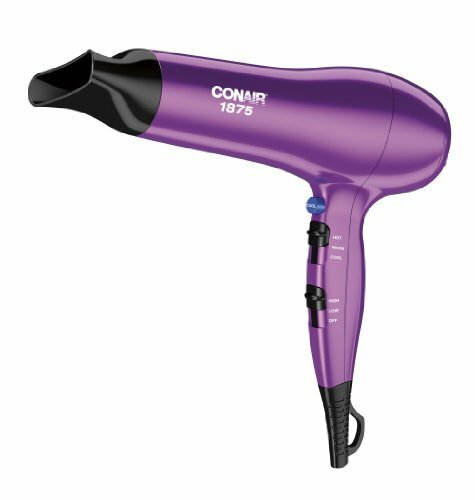 CONAIR 1 1/4" HOT AIR BRUSH� PCCA21000 • Style and dry hair • Commercial-grade, porcelain ceramic barrel • Far-infrared heat • Even heat distribution • 1000 watts for fast styling • Cool shot button locks in style • Soft, nylon bristles for comfort � • Multiple hot air vents for fast drying. 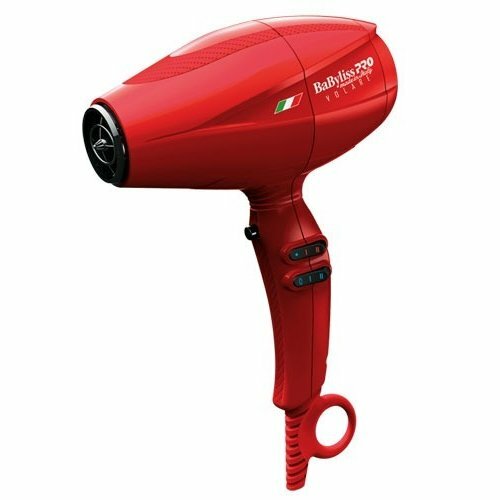 BABTT053T HAIR DRYER 110 220V 1000W TOURMALINE Features: �•� Tourmaline is a natural source of a negative ions and far-infrared heat, Titanium provides superior heat conductivity ��•� Negative Ions eliminates frizz and close the cuticle, Far-infrared heat penetrates hair from within, resulting in faster drying ��•� Pure tourmaline gemstones fused with titanium ��•� Folding handle, 1000 watt ��•� Limited 12 months wanranty . CONAIR� ONE N ONLY ARGAN OIL COLOR� PCCA12CO Lightweight sulfate and paraben-free daily conditioner Builds body and volume Seals in color and helps prevent color wash-out . 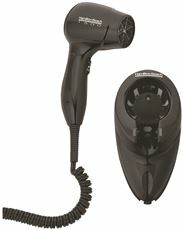 1875 Watts Tourmaline iconic hair dryer. Tourmaline technology quickly seals the cuticle layer and eliminates frizz for smoother silkier hair. Ionic technology breaks up water molecules resulting in quicker drying time. Lightweight high velocity HyperDC Motor dries hair fast. 3 Heat / 2 speed settings. Cool-shot button locks in style. Removable filter cap for easy cleaning. 8' cord. 125V. Blue. This item cannot be shipped to APO/FPO addresses. Please accept our apologies. 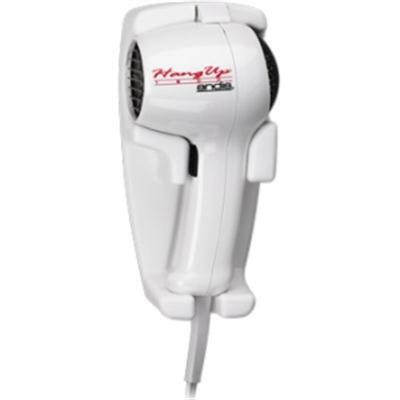 1600 Watts of drying power Mid-size pistol styling dryer Four heat and two air settings Lightweight and compact size Contoured handle for comfortable grip Heavy-duty cord ALCI in plug This item cannot be shipped to APO/FPO addresses. Please accept our apologies. 1600 watts of turbo drying power. Two heat/air speeds. Quiet long life motor. Great for family use. Automatic shut off when returned to holder. This item cannot be shipped to APO/FPO addresses. Please accept our apologies. 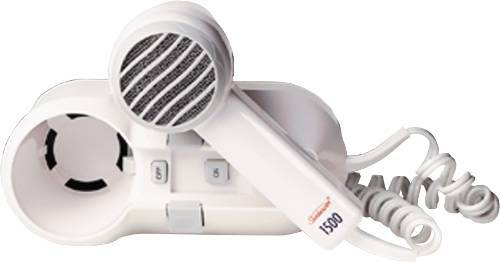 Remington Compact Ionic Travel Hair Dryer - Control your frizzy hair with remingtons easy-handle compact d-5000 chrome hairdryer. 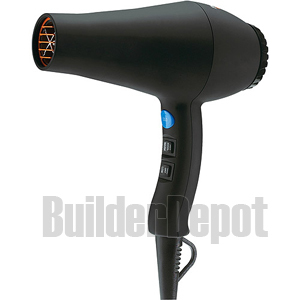 this amazingly powerful lightweight dryer makes drying and styling quick and easy. 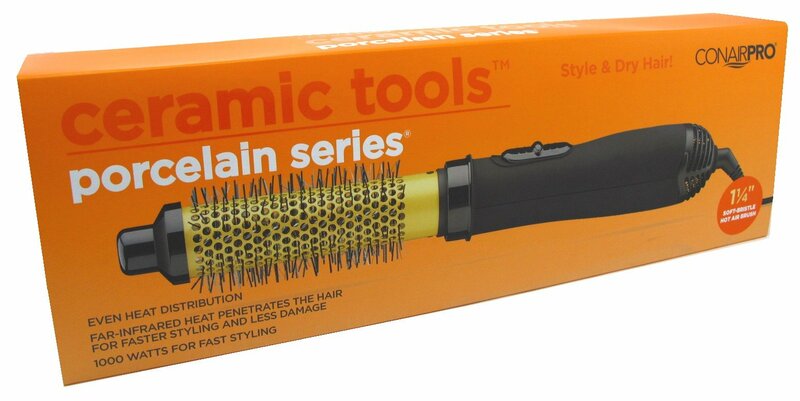 ionic technology conditions the hair for anti-static shine. the dryer is powerful with the high performance motor and fan. the speed and heat settings have an eco option; this setting saves energy while still drying your hair beautifully. 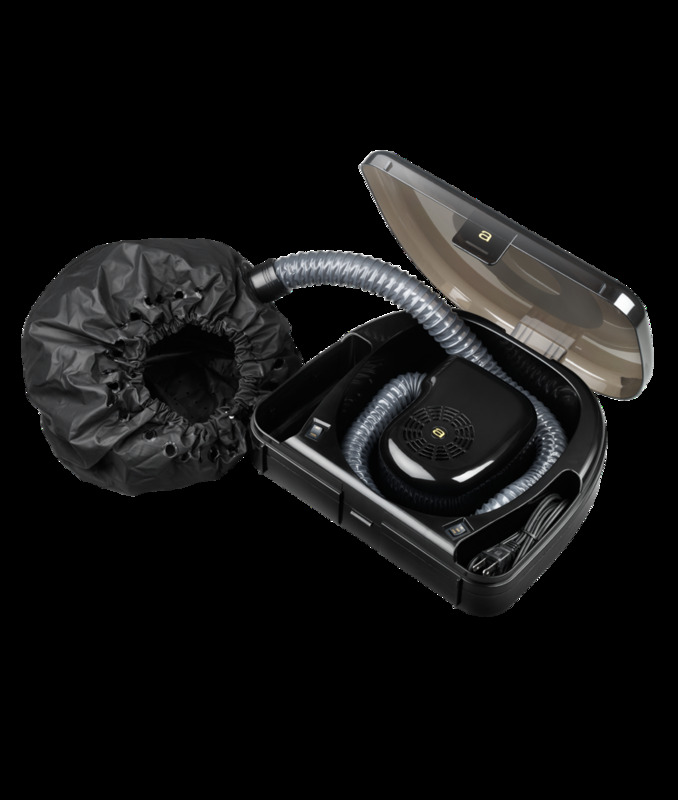 other great features: removable air filter 3 heat settings 2 speed settings 1875 watts two-year limited warranty and a hang up loop. This item cannot be shipped to APO/FPO addresses. Please accept our apologies. Ionic technology dries hair faster with less damage. 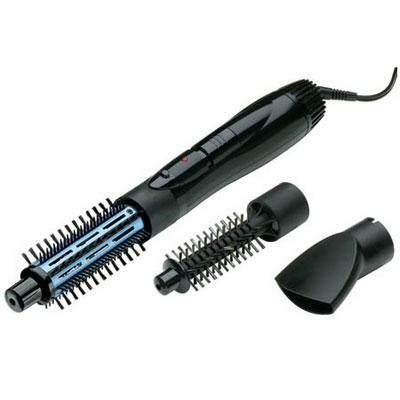 Produces soft manageable hair at a lower heat setting. Helps condition and soften hair while adding volume and reducing frizz. Jumbo bonnet designed for extra-large rollers and conditioning treatments-stays comfortable with secure elastic fit. 2 speed/2 heat settings for styling flexibility. Convenient storage case with retractable handle. 40" flexible hose. This item cannot be shipped to APO/FPO addresses. Please accept our apologies.